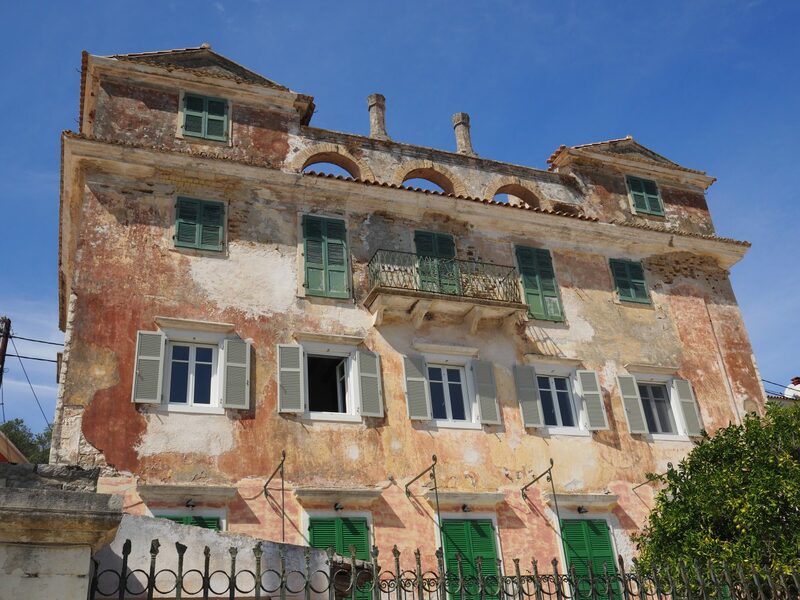 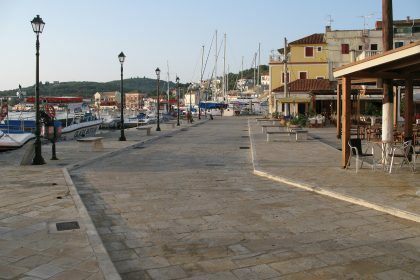 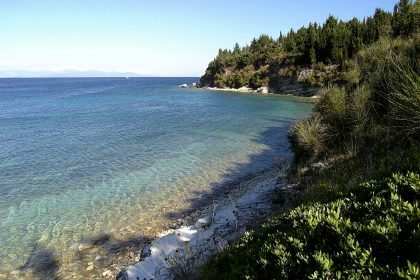 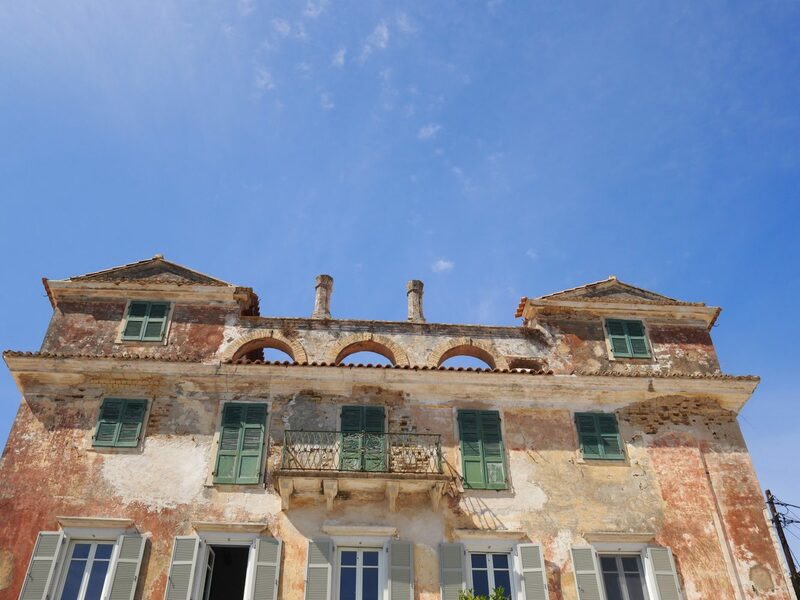 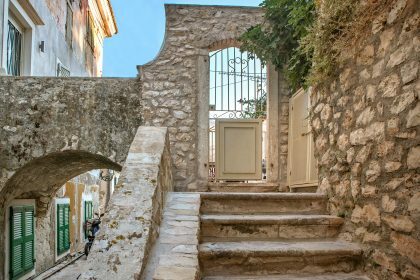 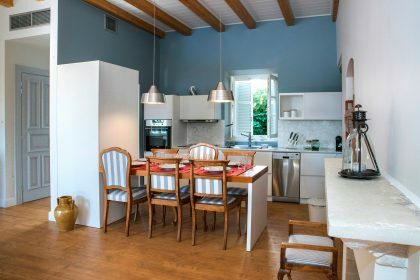 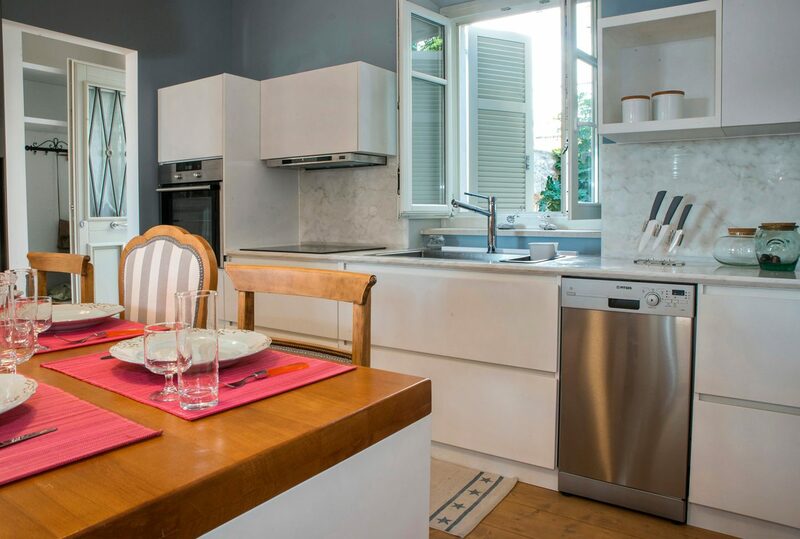 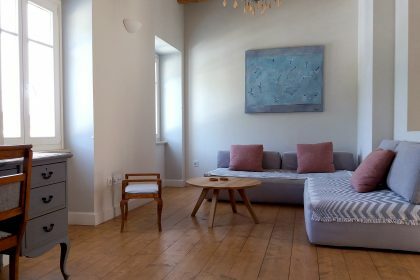 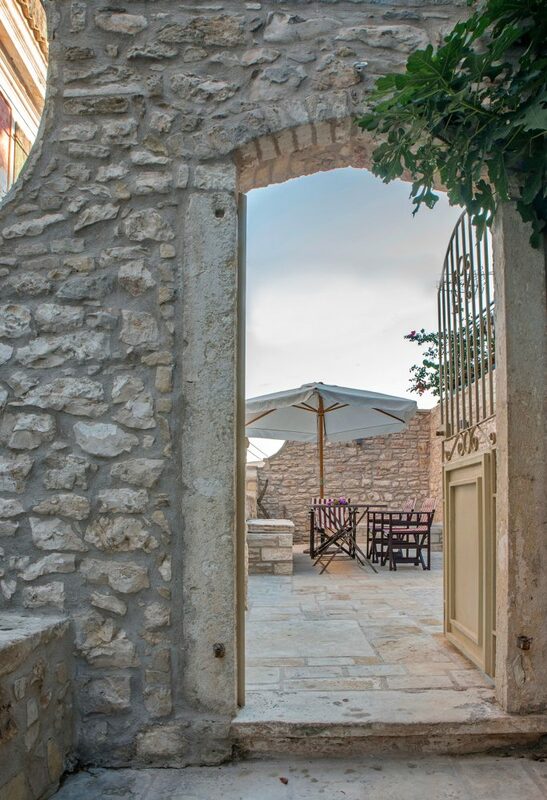 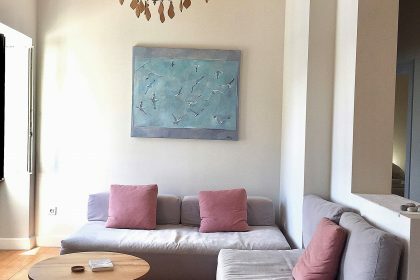 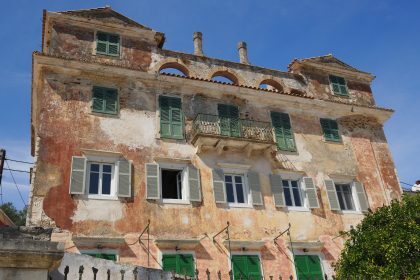 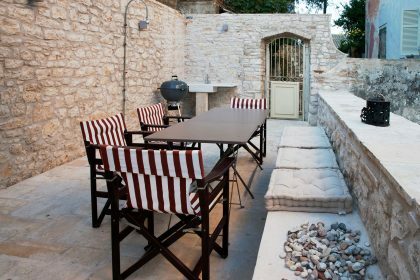 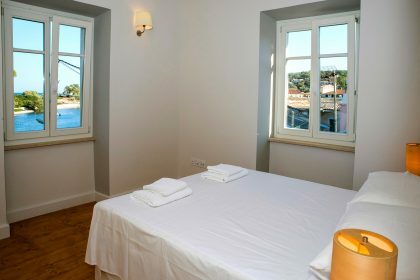 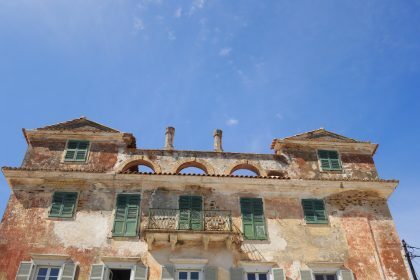 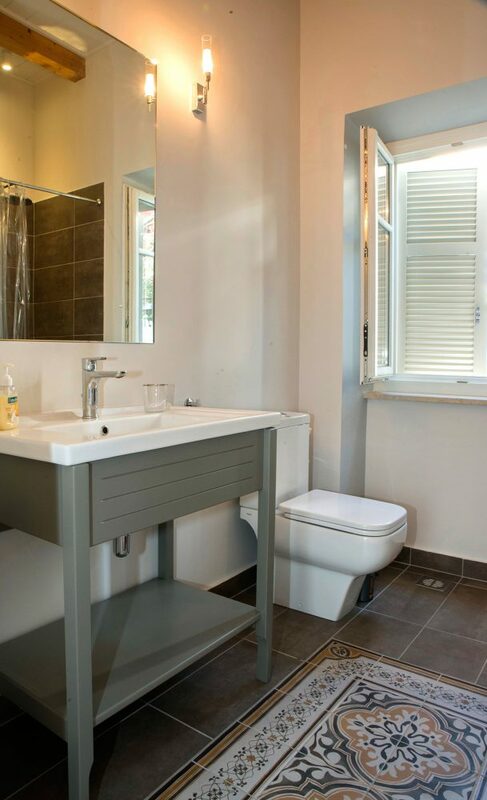 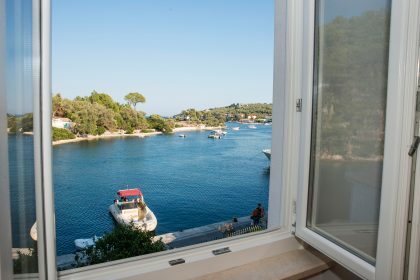 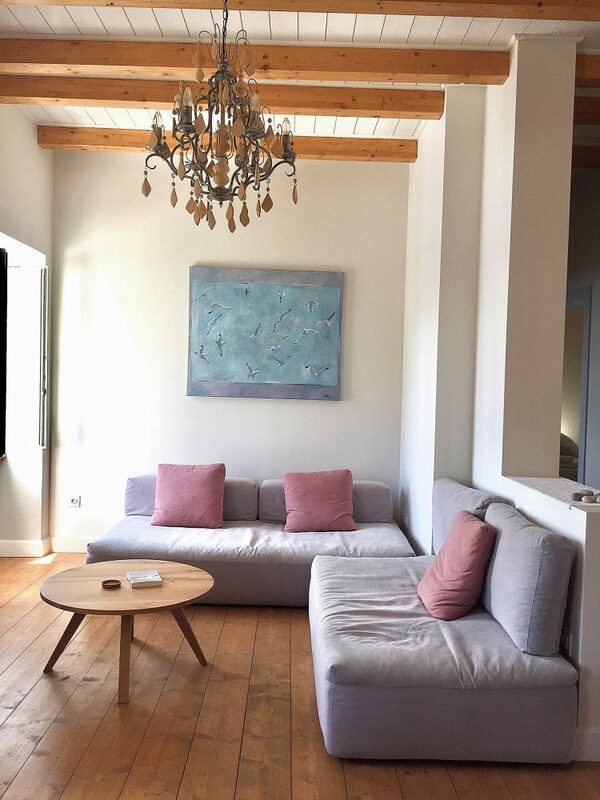 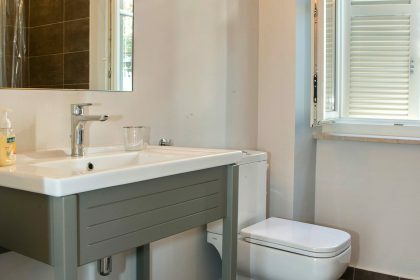 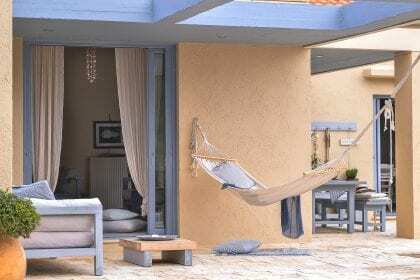 This three bedroom apartment is in one of Paxos’ most beautiful Venetian buildings: a town house in the small town of Gaios right on the sea. 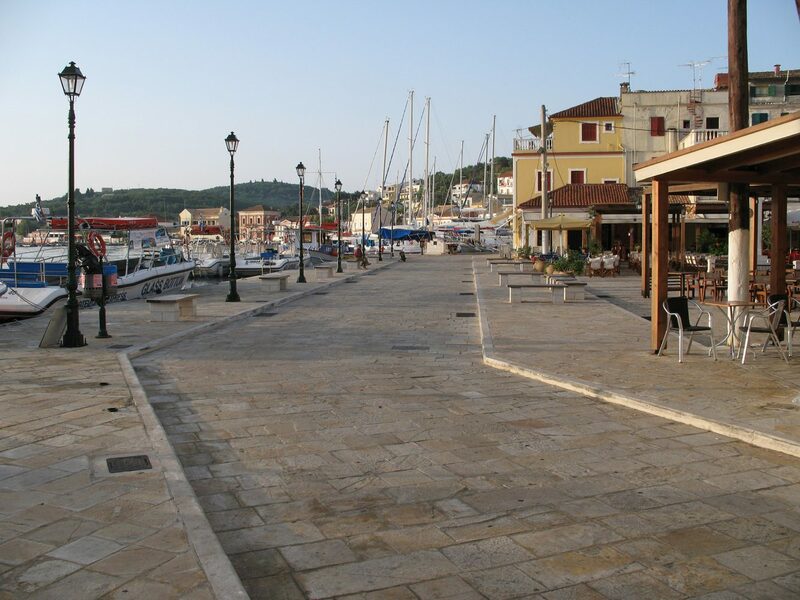 This would be the perfect spot for a family or group of friends who would like to be in this buzzy little town with its great tavernas, bars and shops. 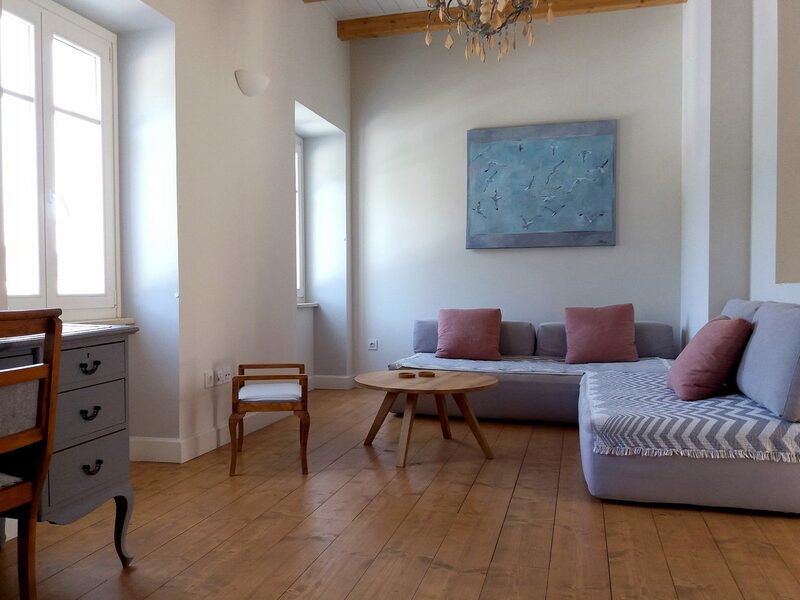 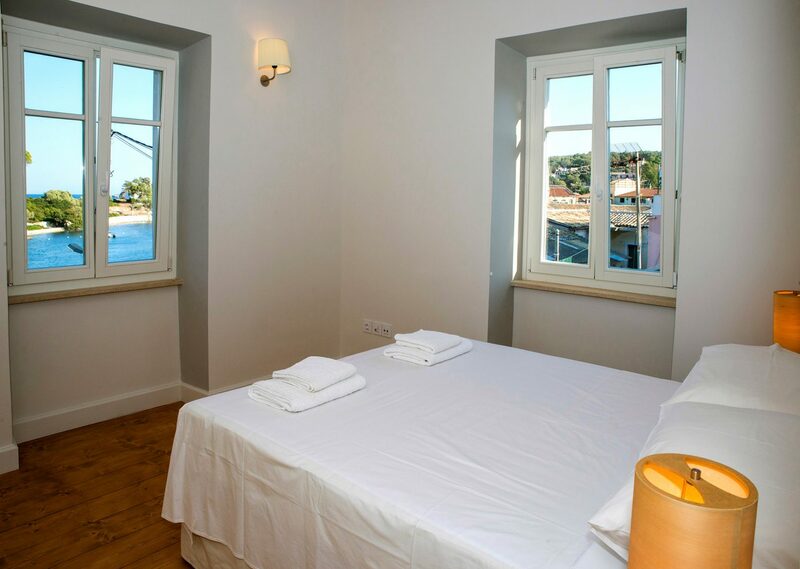 The apartment faces east and enjoys the most stunning sun rises, with rooms that look out over the water, you can experience everything that Gaios has to offer from this super comfy pad. 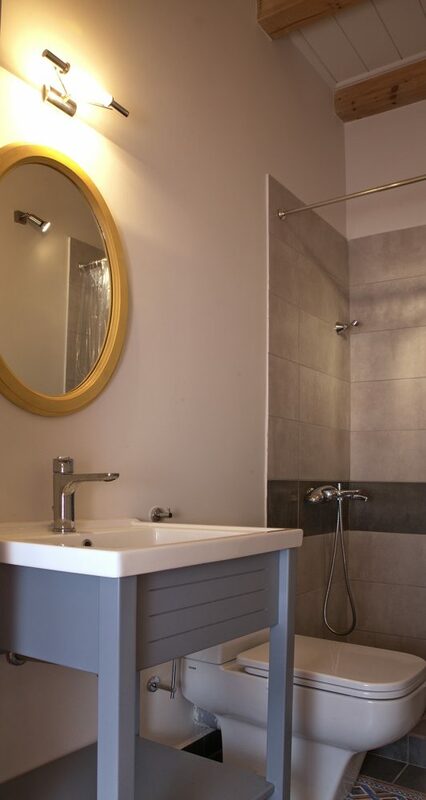 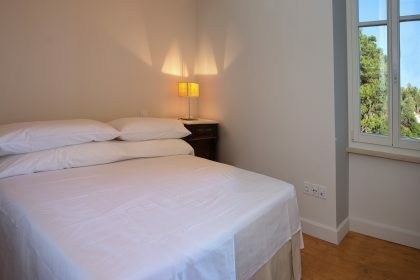 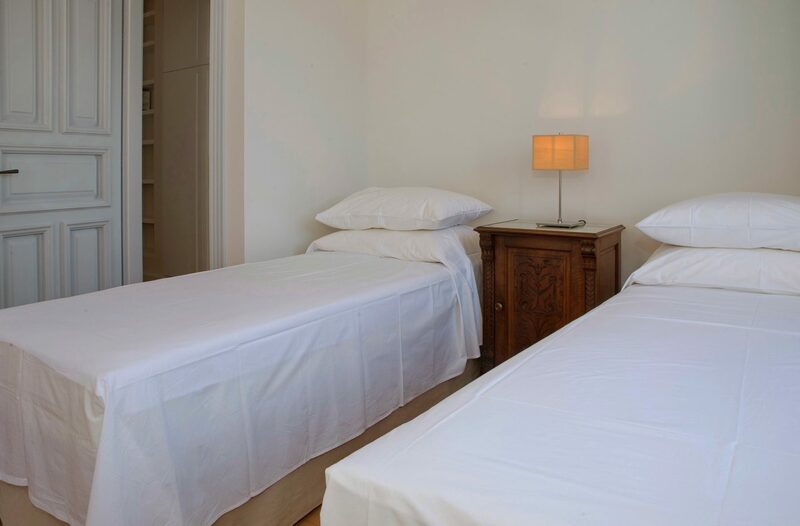 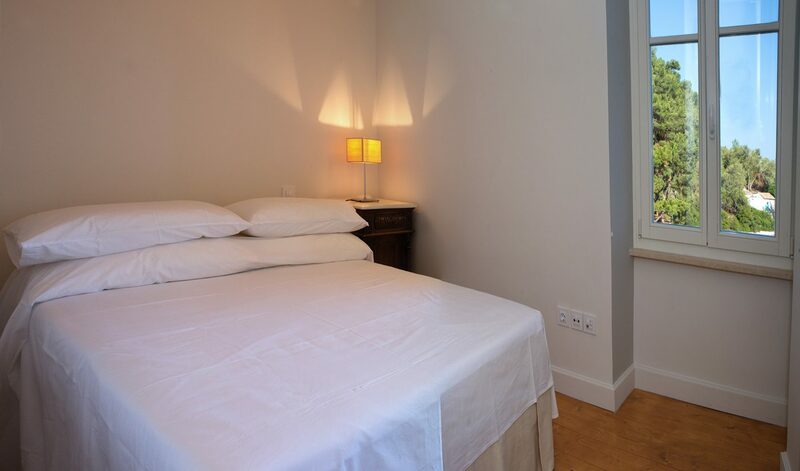 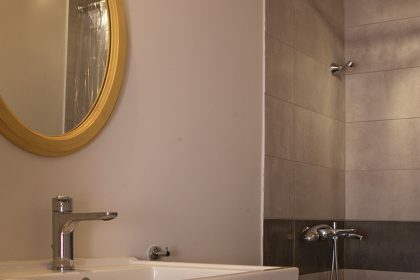 Each bedroom is a good size – one has its own bathroom and the other two share a bathroom. 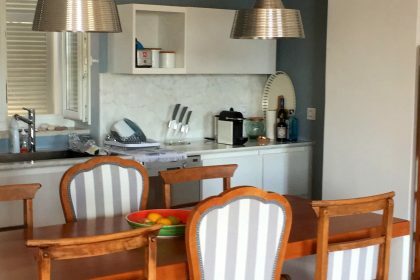 The kitchen has been painted a lovely shade of deep blue and is open plan to a modern sitting room and dining space. 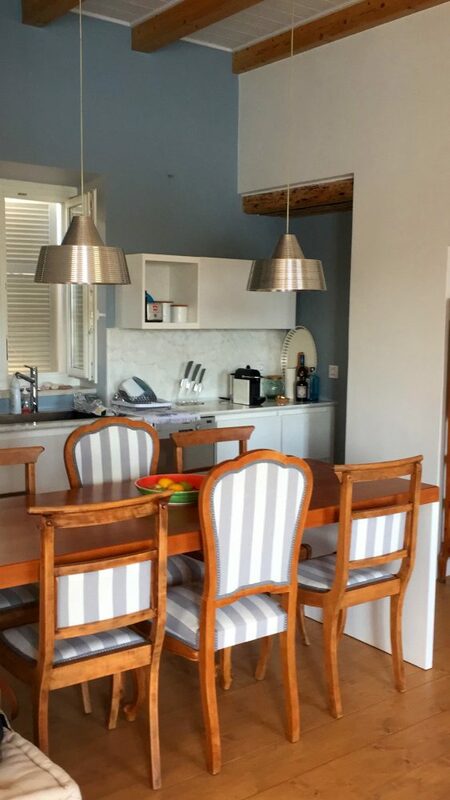 The apartment is flooded with sunlight during the day and is enchanting at night as the views change from the busy boats coming in to the twinkling reflection of moonlight on the water. 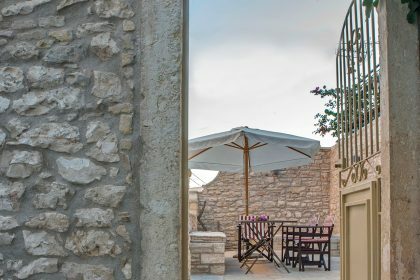 The terrace to the back of the property has a big table and chairs – with a bench made from local stone – the perfect spot for a delicious breakfast or evening meal under the stars. 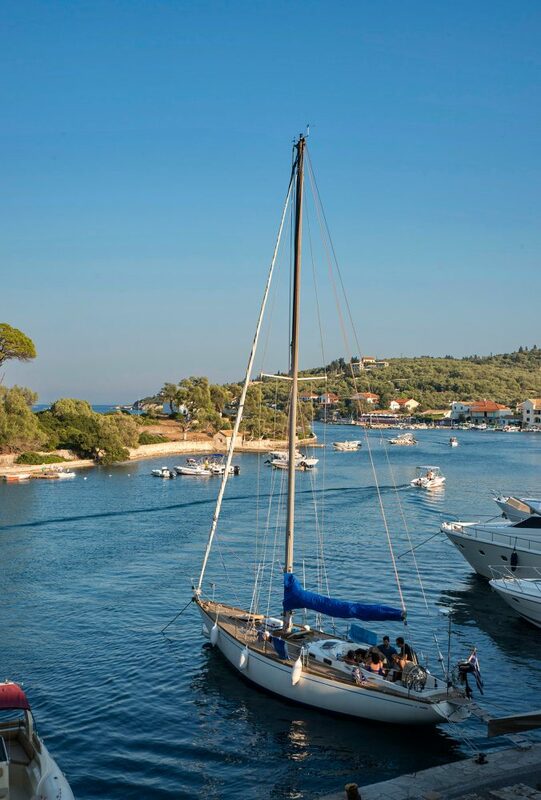 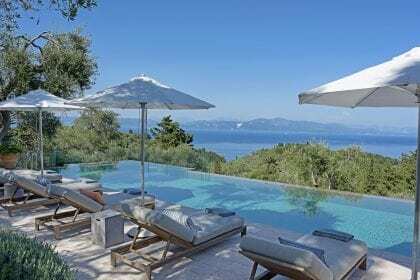 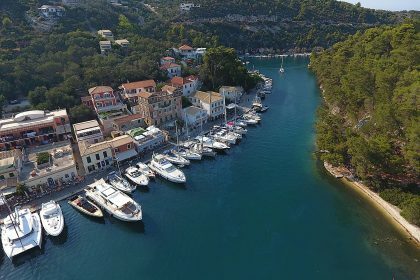 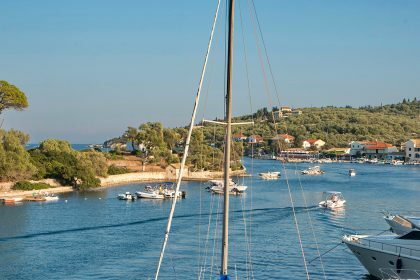 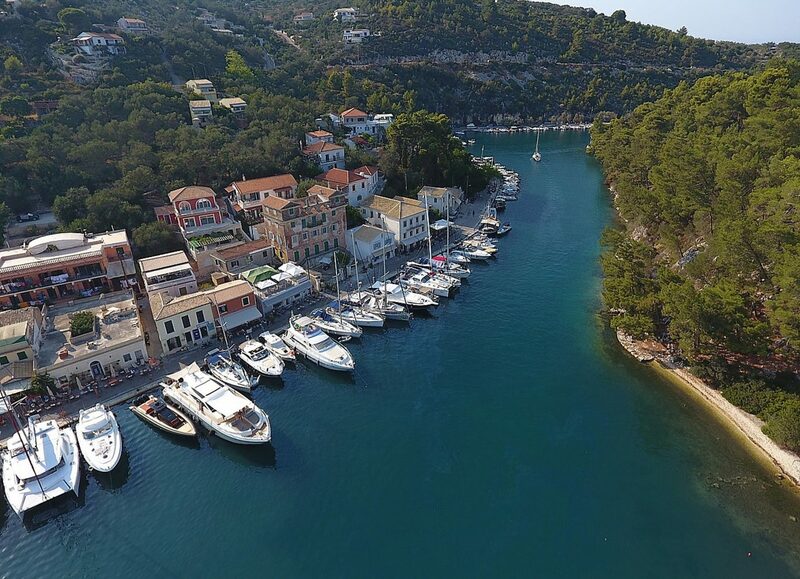 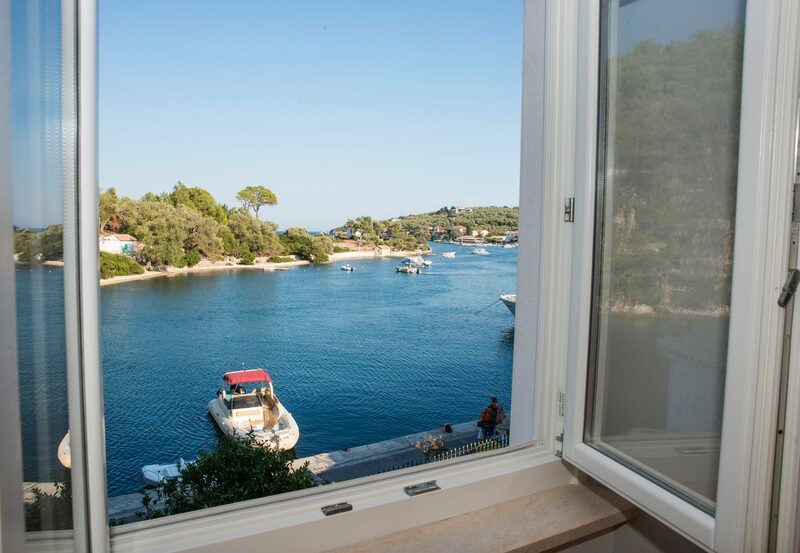 If we were lucky enough to stay here we would spend our days out on a boat (you can keep one moored right below the apartment) swimming in beautiful coves or on the island of Anti Paxos. 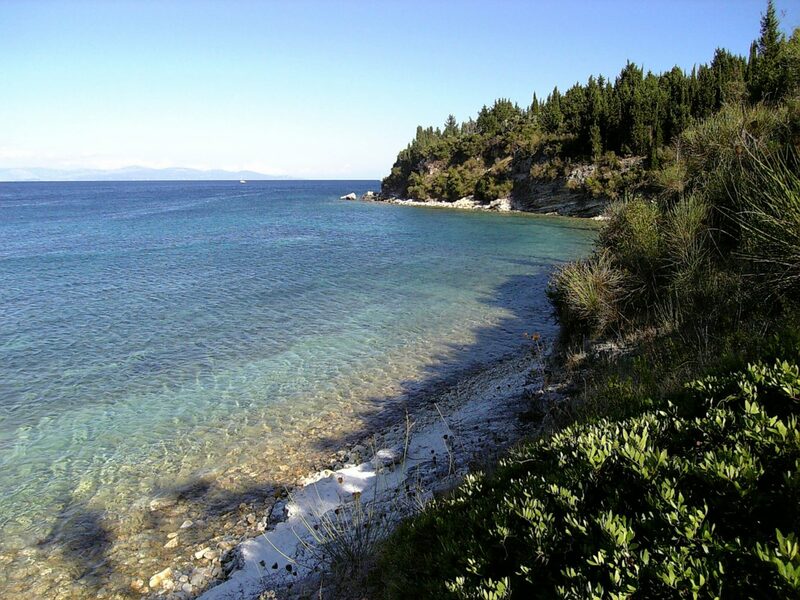 It is possible to walk from the apartment to the local beach for a swim.